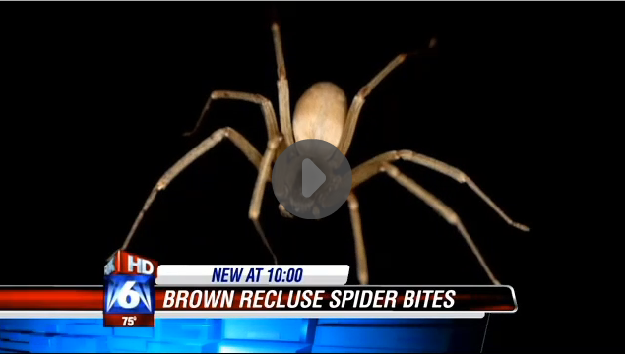 Brown Recluse Spiders on the rise. Take action now! See on the news this week that Brown recluse spider bites are on the rise in neighboring Tennessee? This is a concern because Fall is usually when we see Brown Recluse spiders the most. Brown recluse spider bites are poisonous and require medical attention. They are known to live in cold, dark places, so make sure to check your shoes or pants legs. Avoid dark, damp places like closets, basements and under decks. Take action against these poisonous pests now to ensure a bite-free fall! We can add spider treatments to any of your regularly scheduled services or make a one-time spider service. Give us a call today to discuss your pest control needs and get a FREE custom estimate!